twilight813 wrote: Next week is going to be rough for me. I have a final and all my school stuff has to be finished by thursday and on thursday is the day my boyfriend and I go to the rehab place to get him help. I am sooo nervous about going. ahhh!!! You'll both be in my prayers!!! I hope everything works out for the best!!! ETA! noth was supposed to be BOTH!!! changed it, I was tired, sorry! ahh yea i hope so! anyway you guys goodmorning! im flippin exhausted!!! i hate being in college sometimes it just drains me. especially now with finals and everything is due. ahhhhhhhhhhhhhhhhhhh!!!! i need Jasper to calm me down!! where is he!!! ps. 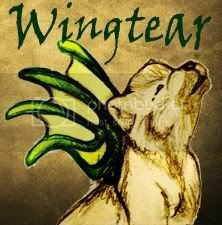 Wingtear whats your name... also can we throw anyone into the cafe or just co workers?? cuz i have a few people in mind that would be very tasty for the vamps! ok so i am going to through my psych.prof in.. he just needs to go. 4. a request from our shoppers is that they've been cleaned, at least the neck. Apart from that, we take them all. Um. I say we invite George Bush to the cafe. I'm not exactly sure of the human part... but yeah. Most of the humans I throw in they except. If the human is so horrid the might clean their blood then fest. It all depends really. Doesn't sound like you want that one to turn and become immortal! Maybe you could put her on clearance? It's not too late for another vamp to drain her, is it? maybe Ninna can throw her in the woodchipper out back? Then the vamps can eat the good parts. if any?